GrowSpan constructs greenhouses using only the most-durable and dependable materials. Experienced installation crews properly install any greenhouse, ensuring that each structure has a long life. A GrowSpan Greenhouse Specialist will work with you every step of the way, so you get the exact greenhouse solution you're looking for on time and on budget. GrowSpan can get your greenhouse up and running quickly. GrowSpan manufactures in house, so each project is under GrowSpan's complete control. With in-house installation services, customers never have to worry about their project. A GrowSpan greenhouse is environmentally friendly and can reduce any operation's energy consumption. GrowSpan manufactures right here in America. Centrally located in Dyersville, Iowa, upon completion, greenhouses are able to be quickly shipped. Alfalfa Valley Farms uses ten Series 500 Commercial Greenhouses for their cannabis cultivation business. Watch the video to learn more about their growing Oregon operation. GrowSpan's Lead Hydroponic Grower Jena Holland talks further about purging your hydroponics system. In Part 2, she talks about cleaning out hydroponics reservoirs, channels and buckets. 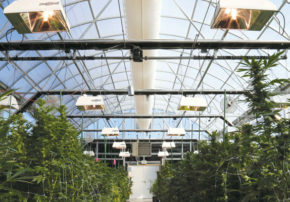 To learn more about how GrowSpan can help with your next hydroponics project, visit http://www.growspan.com/ad-commercial-hydroponics-systems-1/ . GrowSpan's Lead Hydroponic Grower Jena Holland takes you through the steps to purging your hydroponic system to rid any pest and diseases. In this part we learn the benefits and the early stages of the purge. To find out more how Growspan can help with your hydroponics project, visit http://www.growspan.com/ad-commercial-hydroponics-systems-1/ . GrowSpan's Lead Hydroponic Grower Jena Holland talks about seed starting procedure for propagation. To learn more about other Hydroponic Supplies to use with your next hydroponics project, visit http://www.growspan.com/growspan-industries/hydrocycle-growing-systems/hydroponic-supplies/. GrowSpan's Lead Hydroponic Grower Jena Holland talks about propagation using our Ebb and Flow System. 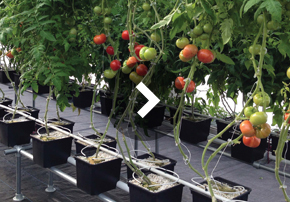 To learn more about how GrowSpan Ebb and Flow systems can help with your next hydroponics project, visit http://www.growspan.com/growspan-industries/hydrocycle-growing-systems/ebb-and-flow-systems/. GrowSpan's Lead Hydroponic Grower Jena Holland talks about misting for germinating seeds. 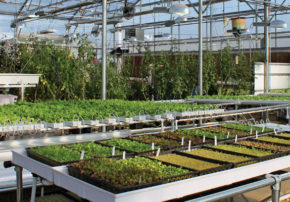 To learn more about other Hydroponic Supplies to use with your next hydroponics project, visit http://www.growspan.com/growspan-industries/hydrocycle-growing-systems/hydroponic-supplies/. Have You Considered Planting An Extra Row?